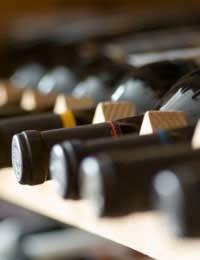 Vintage is often taken simply to mean ‘old’ but has its origins in the root word ‘vin’, which if French for wine. A vintage is a particular year that a wine was produced in. With the varied results that terroir and other environmental factors can bring, the vintage of a wine is said to have a profound impact on the flavour and quality of wine. Typically most wines have a ‘vintage’, although ‘vintage wines’ are more commonly felt to be those grown on a specific year that is known to have produced an outstanding crop. Vintage is taken so seriously that particularly good vintages sell for outstanding sums of money on the vintage wine market. A wine that contains grapes from more than one year is called a ‘non-vintage’ wine, although, in actual fact, even a vintage wine may contain 15% percent wine from another year in EU countries, and 75% in many new world countries. The importance of vintage can not be underestimated. However, as with terroir, a whole mythology has grown up around wine vintages, and not surprisingly given that the consumption of wine is liable to take the mind upon flights of fancy! People tend to talk a lot about vintage despite that fact that advances in viticulture (the science of cultivating grapes) has made crops more stable and less liable to fluctuate in quality. As such vintage has become in large parts irrelevant unless you are drinking a wine made with a temperamental grape. Studies have shown that both the public and exerts have difficulty in tasting the differences in Vintages except tin the temperamental region of Bordeaux. In this region Vintages vary between very good and very bad, due to the variance in weather conditions. Essentially therefore, all that can be ascertained by looking at a wines vintage is whether or not it is drinkable (and only in the case of a Bordeaux wine), and this is not so much due to there being especially good vintages in Bordeaux, but because of the sheer unpredictability of crops there. Arguably, with the increasing prominence of New World wines vintage will be seen as a term necessary only in the ‘bad old days’ of wine making. On the other hand, the culture of pontificating that surrounds wine may demand that speculation upon vintage continues. It seems almost a shame that wine could be reduced so much to an exact science, especially in respect of weather stability in the New World regions, as to eradicate variations across different vintages. Whilst this is something that market economics considers desirable, the old European way of wine producing holds a charm that will always find its adherents. Wines with high tannin content do actually improve with age, which can in some senses account for the vast sums of money spent on old vintage wines. Curiously the very oldest high tannin content from the ‘best’ vintages are generally only bought as investment – they are unlikely to be drunk! Some wines are marketed especially on their youthfulness or freshness. This is true of Beaujolais Nouveau, the first wine from each years crop, sold in Bars and restaurants across France in November every year. In this instance a vintage may be applied to the bottle to prove that a wine is not old! Debates about the importance of vintage will continue for all of time in all likelihood, and form part of wines wider charm – its ability to evoke conversation, argument writing and literature around facets relating to its production and consumption that may not even be relevant!